The board, which is all white, will shift five of its seats to single-member districts in a bid to add more representation for people of color. After months of negotiations, the North Texas district agreed to switch from an at-large system, with all of the district’s voters able to vote in each race, to a hybrid approach with two at-large districts and five single-member districts. Voters of color will make up a majority of the electorate in at least two of those districts. It’s the latest victory in a wave of litigation against school boards in the area where the influx of Hispanic families and the flight of white families have dramatically transformed the racial makeup of public school classrooms but haven’t led to increased representation on local school boards. Richardson was one of hundreds of Texas school districts — many of them in suburban areas with similarly changing constituencies — still governed by board members who are elected at-large. David Tyson, the sole person of color to ever sit on Richardson ISD’s board, brought the lawsuit last January, arguing that the system for electing members prevents people of color from having a fair say in who represents them. The lawsuit points out that the district is now 60 percent black and Hispanic, but its board members are white and live in parts of the school district where most residents are also white. "The newly drawn districts will hopefully result in a board that is a closer reflection of the diverse and inclusive communities and families that the RISD serves," Tyson said in a statement Thursday. In the suit, Tyson alleged that Richardson ISD’s at-large election system functioned as a “white-controlled referendum on all candidates” because white voters — who make up a majority of the electorate — regularly formed a voting bloc and wielded control over every seat on the board. Tyson had asked a Dallas-based federal court to declare the system was in violation of the federal Voting Rights Act because it unlawfully diluted the political clout of people of color in the district. 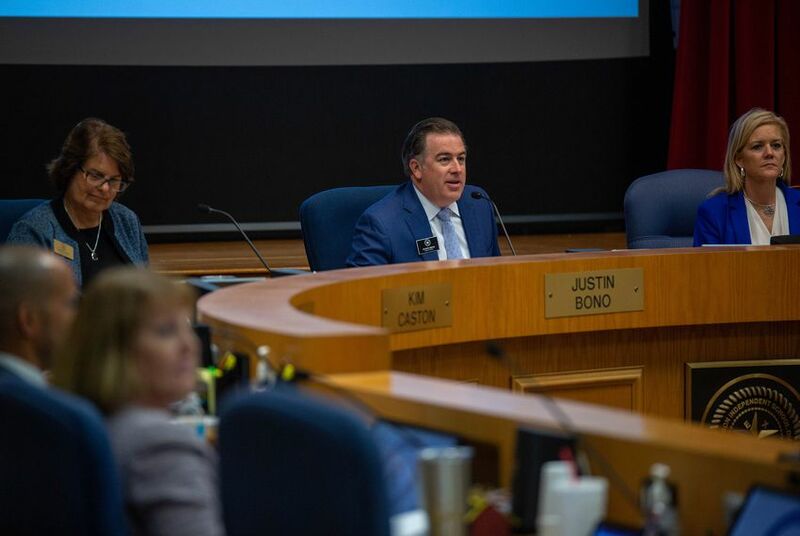 “I don’t know that single member districts would accomplish what proponents want or make a board more effective,” board President Justin Bono said in a 2017 interview with a local publication before the lawsuit was filed. Tyson was represented in the suit by the Brewer Storefront, the pro bono arm of a corporate law firm. It has focused on undoing one of the last mechanisms that allow white people to keep their power in the public education system despite their dwindling numbers in schools across the state. Demographics have changed enough in recent years in North Texas to give voting rights advocates a chance to push for change in court across the region. As other Texas suburbs become less white, the Richardson case could become a harbinger of voting rights battles to come in other school districts. “We are pleased that the Richardson ISD school board agreed to adopt an electoral system that provides minority voters a fair opportunity to participate in the political process,” said William Brewer, a partner at Brewer Storefront.